Dubbeldam Architecture + Design and Studio Junction Inc. have been awarded Canada Council for the Arts prizes in architecture. Dubbeldam has won the 2016 Professional Prix de Rome in Architecture, one of the oldest and most prestigious prizes in architecture. First established in France in 1663 and adopted in Canada in 1987, the Professional Prix de Rome in Architecture is awarded annually to an architecture firm that has demonstrated exceptional artistic potential. It encourages the development of artistic excellence in contemporary architectural practice by supporting prize recipients to travel the world to develop their skills and creative practice through research and study, and to strengthen their position in a global architectural context. Heather Dubbeldam. Photo courtesy of Canada Council. Dubbeldam is a Toronto-based multidisciplinary design studio committed to advancing an architectural and social agenda through built work and design research. Central to the practice is the exploration of contemporary architectural issues in which a desire to improve the public realm figures prominently—demonstrated not only by professional advocacy but by the projects undertaken by the studio. Founded by architect Heather Dubbeldam, the practice has been recognized by numerous awards for design excellence and sustainability initiatives, and has received wide media attention in local, national and international publications. The award will support Dubbeldam’s research project entitled ‘The Next Green – Innovation in Sustainable Housing’, which entails travel to Denmark, Sweden, Norway and Germany to study cutting-edge research and sustainable housing precedents for northern climates. The firm intends to explore how architects in these countries set new standards for buildings that surpass current protocols for sustainability, while developing a unique spatial and artistic architectural language in which energy efficiency and design merge seamlessly. The project will engage Scandinavian and German architects, research institutions and industry leaders in these countries, and will include the study of passive houses, Net-Zero Energy homes and regenerative design (buildings that produce more energy than they consume). Furthermore, investigations will be undertaken into technologies such as building-integrated photovoltaics, and new developments in responsive or ‘intelligent’ materials – all features of tomorrow’s buildings. Dubbeldam’s intent is to stimulate a dialogue about the role of sustainable design as a generator for design excellence in architecture. 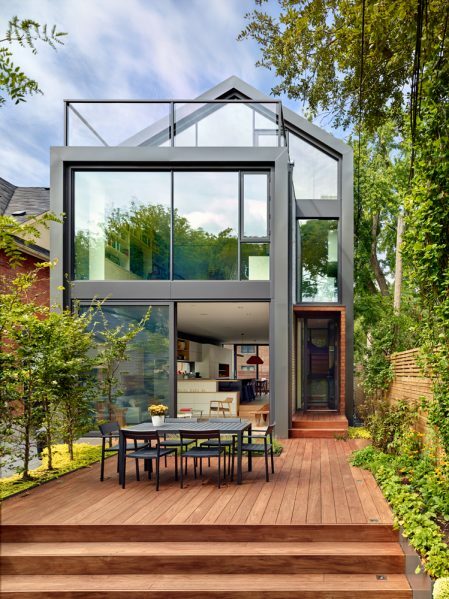 Dubbeldam Architecture + Design – Through House. Photo courtesy of Dubbeldam Architecture + Design. Dubbeldam Architecture + Design – Skygarden House. Photo courtesy of Dubbeldam Architecture + Design. Dubbeldam Architecture + Design – Carcross Yukon Cottages. Photo courtesy of Dubbeldam Architecture + Design. 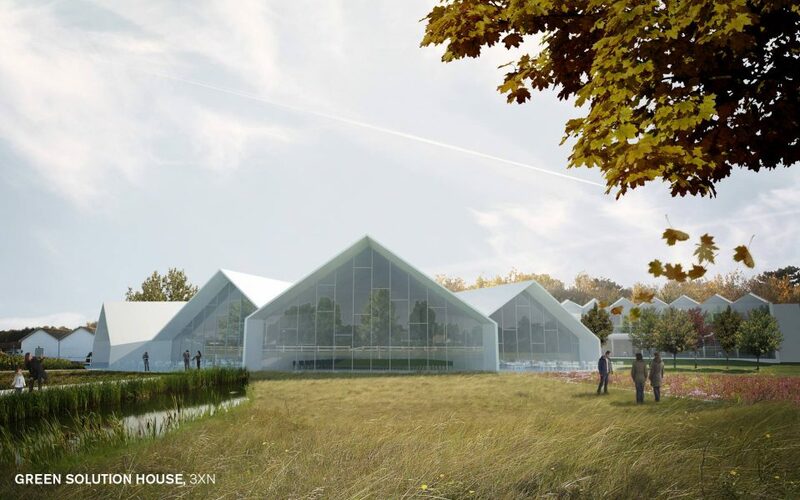 3XN – Green Solution House. Photo courtesy of Dubbeldam Architecture + Design. 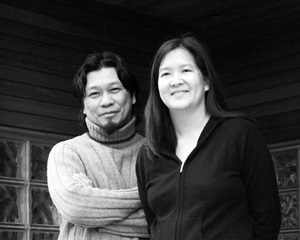 The Ronald J. Thom Award for Early Design Achievement was awarded to Studio Junction Inc., an emerging Toronto practice, established by Peter Tan and Christine Ho Ping Kong in 2004. This multi-faceted practice alternates between the larger scale of building and the smaller scale of furniture. Studio Junction offers design, make and build through a design studio, woodworking workshop and build crew. Peter Tan and Christine Ho Ping Kong of Studio Junction Inc. Photo courtesy of Canada Council. Studio Junction’s body of work operates in the context of “incremental urbanism” – the smaller, more modest projects that focus on place-making and contribute to creating a more diverse, vibrant neighbourhood and livable city. As with the Courtyard House and Mjolk House,the sites are confined and challenging. Projects are frequently mixed-use, with both a live and a work component. Courtyard typology and courtyard and atrium elements are often used to allow the projects to successfully adapt to an urban siting where there is no traditional front or rear yard. The Ronald J. Thom Award is presented to a practitioner of architecture or an architectural firm. The successful candidate must be in the early stages of a career or practice and must demonstrate both outstanding creative talent and exceptional potential in architectural design. Past honours for Studio Junction inc. include the Michael V. and Wanda Plachta Award (OAA), a Toronto Urban Design Award and two North American Wood Design Awards. Hook Avenue. Photo courtesy of Studio Junction Inc.
Riverdale Residences. Photo courtesy of Studio Junction Inc.
Mjölk house. Photo courtesy of Studio Junction Inc.
Courtyard house. Photo courtesy of Studio Junction Inc.
To see the full list of Canada Council prize winners, click here.